Rightly or wrongly, the terms ‘orientation’ and ‘induction’ have been used interchangeably in HR circles to describe the process of introducing a new recruit to the organisation. A guided tour of relevant areas of the business. 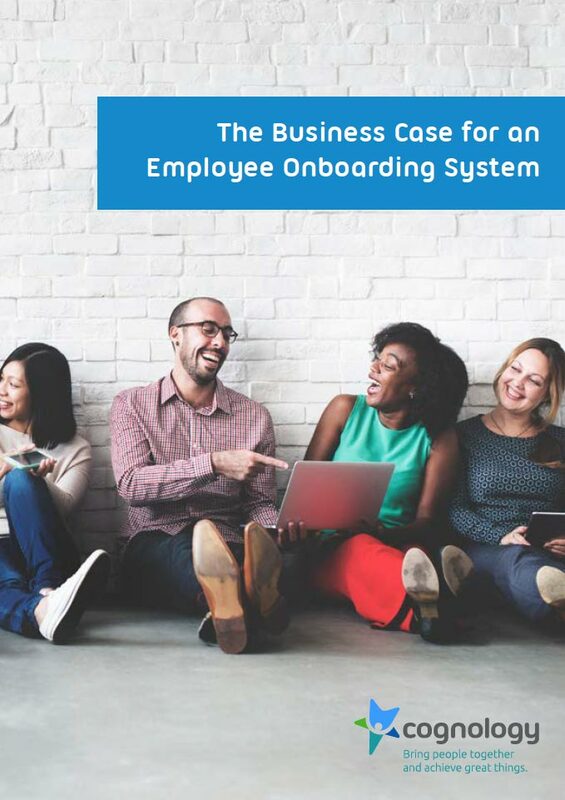 If you’re ready to turn the tables on the ‘old-school’ induction process and fast-track your new starters to full productivity, download our whitepaper, The Business Case for an Employee Onboarding System today. After orientation and induction, new hires would usually then return to their workplace or team for specific job related training. One of the major criticisms about orientation and induction is that what started out as an initiative to address decreasing employee loyalty and commitment in the 70’s and 80’s, just became a ritual. A sheep-dipping, info dumping, ritual. Nobody fully understood how much benefit orientation and induction processes yielded; and, in the absence of a better idea, just kept running them. Over the last decade, solid empirical research has finally shed light on the subject. As a result, we have seen more and more businesses move away from traditional orientation and induction formats to a more engaging and positive experience under a new name – Onboarding. Onboarding has brought with it a greater focus on the individual than ever before; a deeper understanding of how a person’s personal preferences and characteristics can be accommodated by an organisation, and how improved role clarity, social acceptance, and knowledge of the culture can positively impact a new employee’s effectiveness and productivity. How is onboarding different to traditional orientation and induction? Unlike traditional orientations and inductions, onboarding supports new hires to ensure they: master key skills; meet performance expectations; establish goals for the future; have adapted to the culture; and, are fitting in and working well with their colleagues and business partners.